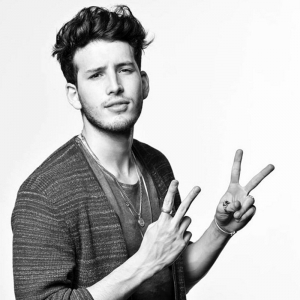 Sebastián Yatra (born in Medellín, Antioquia, Colombia on 15 October 1994) is a Colombian singer and songwriter and pop artist. Born in Medellín, his family moved to Cartagena, and at age 5 he settled in Miami, Florida. He studied piano, guitar and vocal technique, and was an avid footballer before deciding to concentrate on his music, although he continues to practice soccer as a hobby. He started writing songs early and in September 2013, had his first great hit single "El psicólogo" that charted in his home country Colombia, and all over Latin America notably in Venezuela, Ecuador, Mexico and the United States. He was declared revelation of the year in Colombia and a teen pop artist with great following.